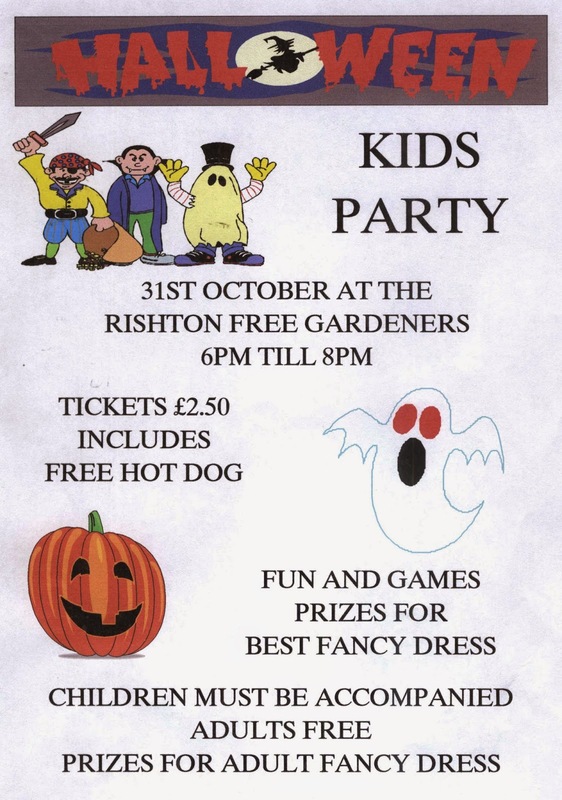 The annual children's Halloween party will take place at the club this year on Friday 31st October from 6.00pm until 8.00pm. All children are welcome but tickets must be bought in advance and can be purchased for £2.50 from behind the bar or by phoning Laura on 07984154412. Tickets also get a free hot dog on the night, with additional ones available for just 50p each.